WOW! 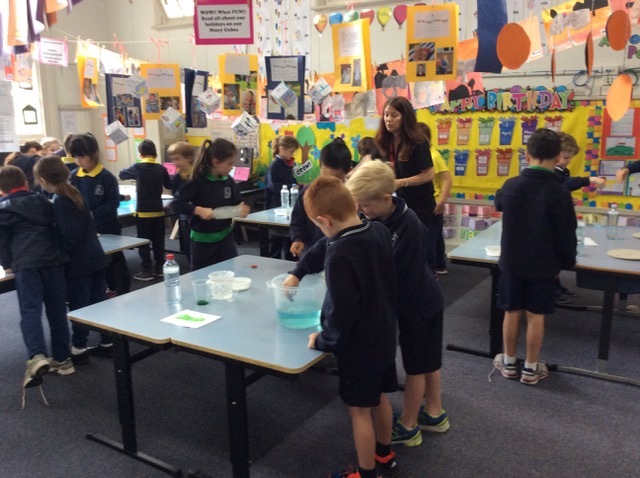 What an exciting start to this week for Year 1 and 2 students with the commencement of the ‘Hands On Science’ incursion. 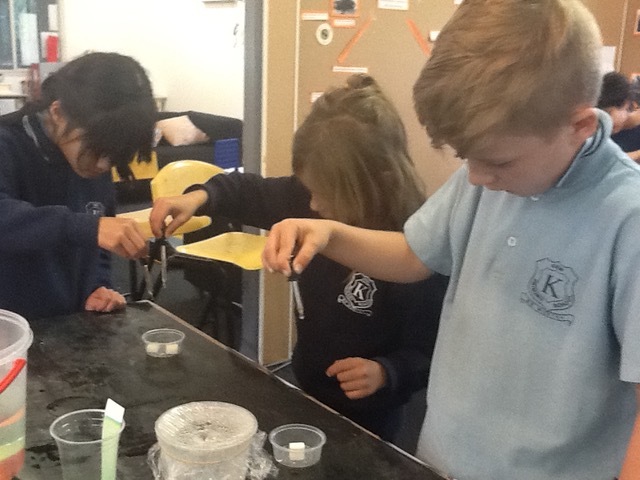 Earlier this week, the children participated in a variety of ‘hands on’ science experiments with a focus on ‘Weather’. The children studied how the weather works. They explored the movement of water and air in relation to the sun and Earth and also investigated changes in the sky and landscape. In the weeks to follow, the students will explore the life cycles of plants and animals. They will also explore design technologies used in different types of puppets. I enjoyed watching the trunk of the tree turn green from the food dye. I learnt that all plants have roots and are living things. The roots need water to grow. At the ‘Hands On Science’ Incursion, I learnt that heat is lighter than coldness. I also learnt that tornadoes can be caused by spinning air and when you put water inside a plastic drink bottle and spin the top around in circles, you can make it look like a tornado. I liked watching the lady make the really big tornado and I liked putting salt in the container and putting glad wrap over the top of the container to make cold water. We got a little bit of rain in our cup. It was lots of fun! We did lots of experiments. We had to predict. I really like the hot air balloon experiment. I enjoyed creating a tornado using a bottle filled with water. We had to stir the bottle. Then we had to stop the bottle suddenly and watch the tornado inside the bottle. I enjoyed it when the lady shook the bottle and the water turned into a tornado. 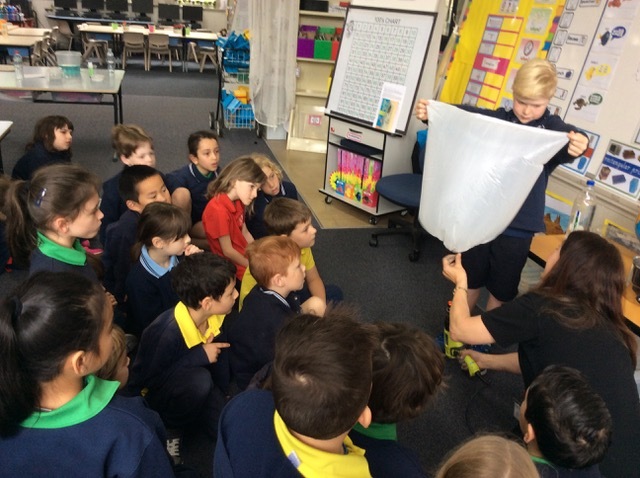 This entry was posted in Learning, Students and tagged Grade 1, Grade 2, incursion, science by Kate W. Bookmark the permalink.